Experts warn that more than 13 million personal computers in Japan will be exposed to higher risk of virus and other attacks starting in mid-April, when Microsoft will cease to support the decade-old operating system. Of that 13 million, 7.23 million Windows XP-based PCs are still in use by Japanese businesses, making up around 20% of all PCs in use in the country. Migration to Windows 7, or the recently released 8.1 is very slow, especially at small and midsize firms, because managers are either unaware of the problem or want to avoid the cost of updating. But it's the town, city and prefecture governments that are the biggest offenders according to a survey by the Internal Affairs and Communications Ministry last October. Around 2 million computers are in use at these offices, 722,166 (or 36%) of which are running XP. Governments blame the software used to handle of residential and taxation data, which is incompatible with newer operating systems. 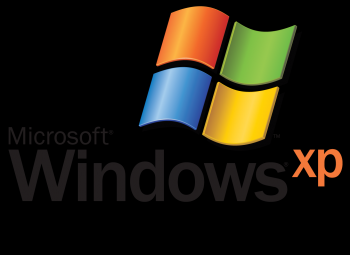 As for personal use, an estimated 5.97 million PCs (14% of all PCs in Japan) owned by individuals are running Windows XP. Both PC manufactures and Microsoft have made many attempts to persuade Japanese PC users to upgrade, such as allowing deferred payment on new PCs. Japan, which many see as a futuristic nation on the cutting edge of technology, ironically clings to office technology that the western world has long-since abandoned, such as the fax machine and Internet Explorer. The end of Windows XP support will also reportedly leave nearly all of Japan's ATMs vulnerable. Japanese banks have lost Â¥760 million to Internet hackers as of Oct. 15, 2013.